LED driver IC manufacturer Macroblock has targeted the market of Mini LED and Micro LED. 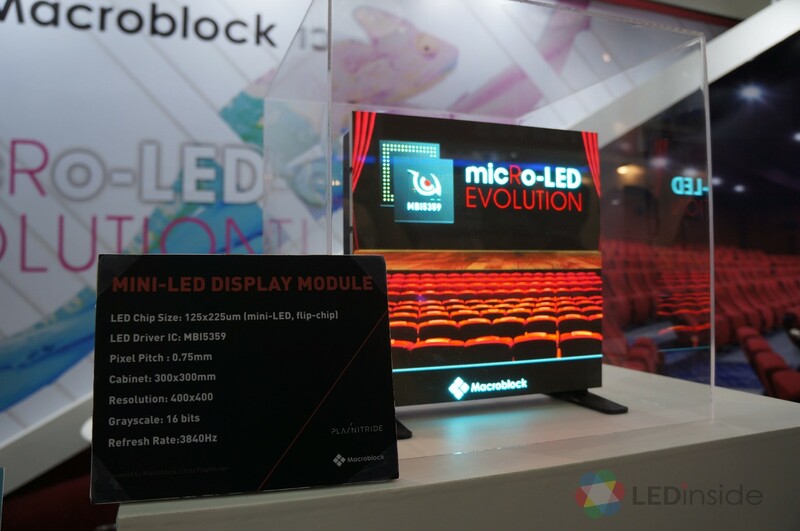 It has begun to ship Mini LED backlight module driver IC for gaming displays following the company’s schedule announced by the end of 2018 and expects to enter the supply chain of high-end TV panels by the second half of 2019. Furthermore, it plans release products for wearable Micro LED applications such as AR/VR smart glasses. The consolidate revenue of Macroblock in 2018 hit the record high at NT$ 2.985 billion (US$ 96.69 million), with an on-year increase of 9.92 percent. In the past year, even though the company once reported that the US-China trade dispute slowed down the growth, its business has been boosted with its fine-pitch display entering the supply chain of Samsung’s cinema LED display. The rising Mini LED market in 2019 is expected drive business growth for Macroblock. The company expects to take orders for Mini LED backlight products from large size TV panel producers and aims to join smartphone supply chain in 2020.